If you’re a cheese lover, this is right up your street. Madrid is home to a number of splendid temples in which to discover, taste and buy artisan cheeses, those precious jewels that come from small dairies in Spain, France or the United Kingdom, all made with tender loving care and natural products. 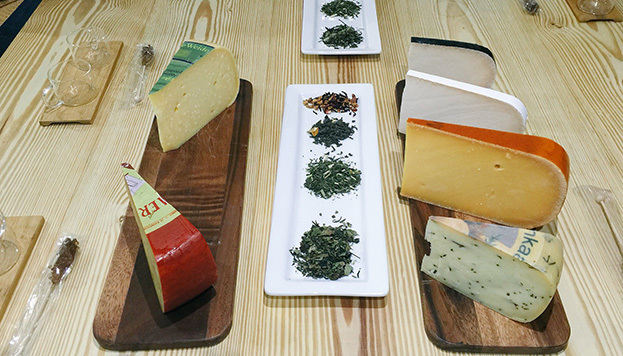 To learn from master cheesemakers, you need to know these dairies. Poncelet was the first modern dairy to open in Madrid, back in 2009. That’s where we discovered what a ripener was for the first time. Now we know that he or she is a specialist responsible for controlling the maturity of the cheese and making sure it is in its best possible condition, so that it can be put on sale at just the right time. 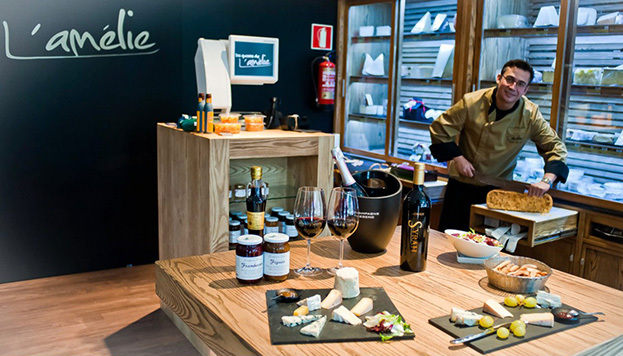 In this store you will find some 80 varieties of Spanish cheeses and more than 240 from Europe, as well as utensils, books and accessories to prepare a 5-star cheese board. 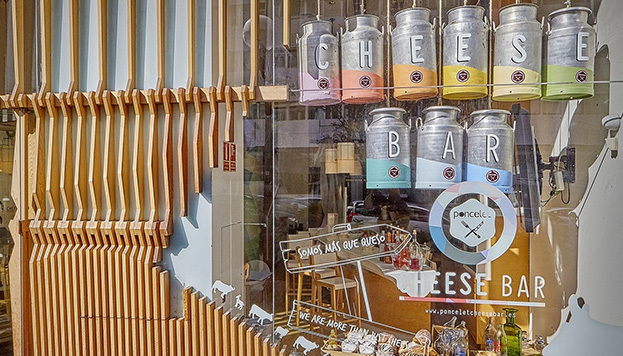 In 2011 they opened the Poncelet Cheese Bar on Calle José Abascal, 61, a cheese addict’s dream: a restaurant in which as well as trying all the cheeses they have to offer, you can also enjoy a menu of dishes in which cheese is the main protagonist. You can also sign up for one of their courses and tastings, which come highly recommended. 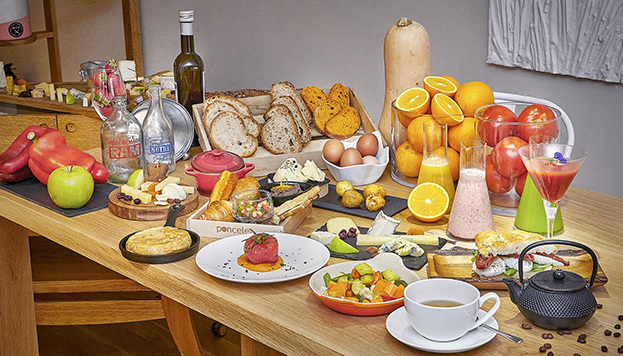 Not long ago they started serving a brunch on weekends, the perfect time to enjoy a good selection of cheeses and really original combinations such as smoothies (made with fruit, dark chocolate or smoked cheese) and cheesetails, cocktails laced with cheese. Rubén Valbuena, cheesemaker and founder of the Cantagrullas Farm in Valladolid is the man behind Quesería Cultivo on Conde Duque, together with Juan Carlos Hernández (Los quesos de Juan) and Álvaro Corral (La Jaradilla). The cheese smell is intense and pleasant, natural. Cultivo is a store bubbling with vitality. It changes all the time with the arrival of new “cheeses with a face to them” – as they like to refer to the creations of small artisan producers. Their passion for cheese is seen in their every gesture and it’s a real pleasure to be guided by these experts when you’re trying out new things and learning all the details of the history of each dairy and the cheeses that “adorn” their counter and shelves. The cheeses they offer in Cultivo are extraordinary; as they are much more concerned about quality over quantity, they offer 40 different versions. Particularly recommended are the Torrejón Cantagrullas, with ash, and Cheddar 40 (an enormous 40-kilo cheese made with cow’s milk!). Besides cheese, they sell fresh goat’s milk, yogurt, butter and other products such as “puchero” (French press) coffee or tea from plantations in Rwanda where they are immersed in an amazing project: the creation of the country’s first dairy, with aid from European funds. They organise tastings and courses in the store. Cantagrullas cheese is very much in demand by Michelin-star chefs and restaurants. Certain markets in Madrid also have premises that specialise in cheese. 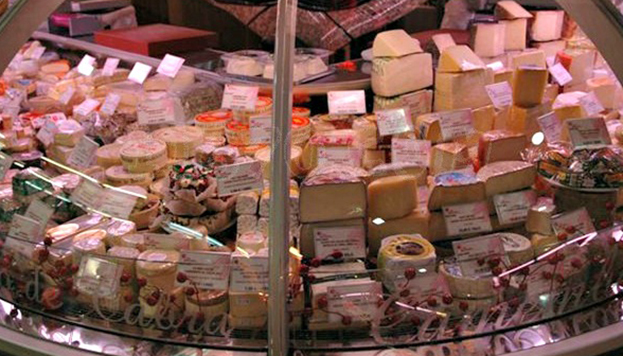 Bon Fromage is an impressive cheese stall in Chamartín Market. Specialising in French, Spanish and Italian cheeses, it attracts cheese lovers in search of unique pieces and seasonal cheeses, and the wise counsel of Salvador Valero. 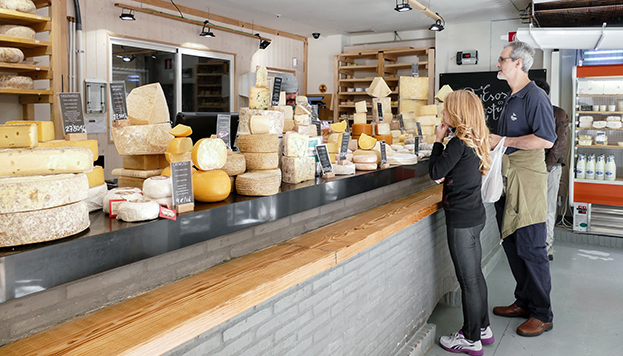 La Boulette can be found in the Mercado de la Paz Market, offering besides its deli, a selection of Spanish cheeses and a representative selection of cheeses from France, England, Switzerland, Italy and The Netherlands. 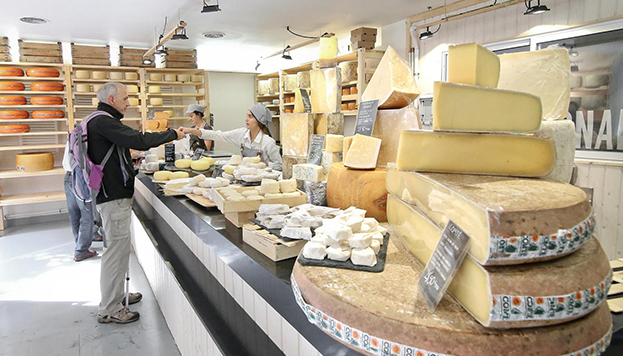 Another expert cheesemaker is Martín Afinador (José Luis Martín), who runs a stall in the Barceló Market where he has a ripening cave through which some 200 varieties pass throughout the year, some created solely for him. He is a guru in the world of cheese, milk and all its derivatives… and he’s always on the go. 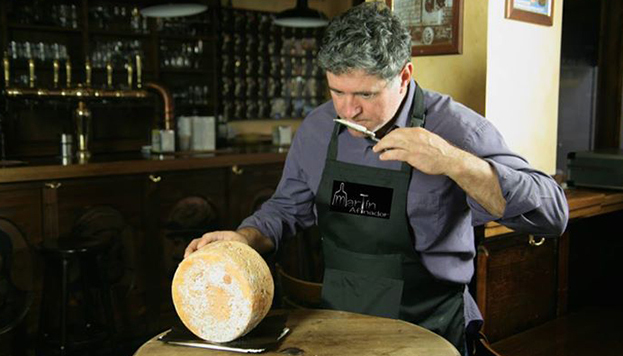 He runs Gourmetquesos during the Gourmets Fair, he acts as an advisor for specialist guidebooks and publications, he organises various workshops ranging from how to pair cheeses with beers to the creation of cheese or yoghurt – each one a master class that shouldn’t be missed. And he makes his own exquisite cheeses from La Mancha. Javier García Albarrán (trained in Paris’ foremost fromageries) and Sandrine Naslin bring all their passion for cheese to their shop and bar: Los quesos de L’Amélie. This is where we will find homemade cheeses, mostly made with raw milk and on the whole, French. They are all sold ripened to perfection and always in season. At the bar, they offer different cheese boards and they organise regular tastings.